rare, Silver and Blue exterior. This vehicle has been garaged in a climate controlled enviorment for many,many years, and has not been driven in the rain, snow, etc. 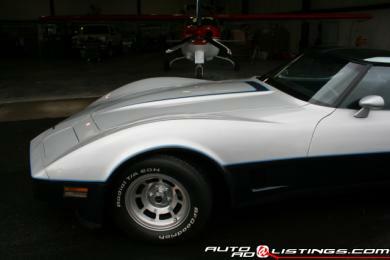 1981 Corvette T-top with very nice dark blue interior. L81/350 motor with automatic transmission. Numbers matching. All-original. Only 33,349 miles. or call me at 707-696-9232 For Price and More Details.